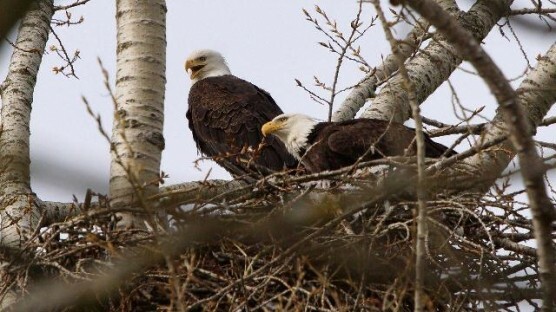 Bald eagles nesting in the City of Vancouver face a variety of challenges as they are often located in close proximity to humans, but they also gain from the many opportunities we provide. This season, 70% of the 19 nests monitored by SPES volunteers in Vancouver are currently active and presumed to contain chicks. Some chicks are nearing 1 month old and will be learning to use their wings in the coming months. For more details about the nests please read the update report.